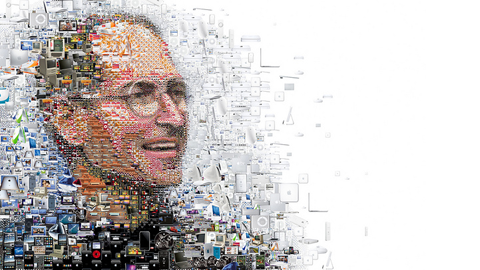 Imagine a semester-long course taught by the best minds in the world of innovation. And you have just touched surface of what this program can mean to you and your company. As Bill Gates argues, without innovation even the best companies remain "just 18 months away from failure." Innovation is not just about generating ideas. And the best opportunities often lie beyond mere products and services. 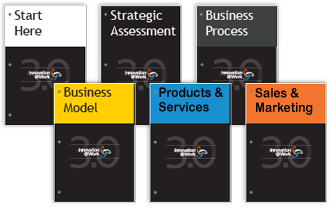 That's why the Innovation@Work 3.0 Core Curriculum consists of six state-of-the-art multi-media educational tracks, all on CDs, Workbooks, and online in the Members Area. Innovation can come to the foreground anywhere at any time. For that reason, the entire Innovation@Work 3.0 program is available 24/7 in the on-line Members Area. So whether you need a worksheet to complete a task or you need to review the ground-breaking ideas in an important book, those resources are always as close as your laptop. 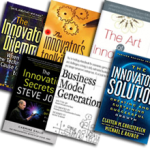 Instant access to over 60 summaries of the greatest titles ever written on the subject of innovation. An ever-expanding electronic library of the greatest titles ever written on the subject of innovation. 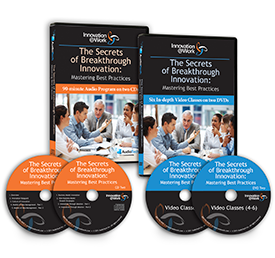 It provides instant access to the best ideas from the most respected minds in innovation. And it features super concise, forty-five minute audio versions of each best-seller for easy iPod listening. 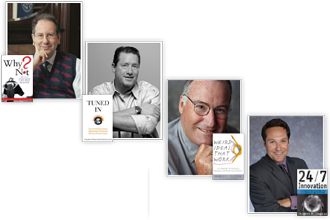 Listen to candid conversations with some of today's top thinkers on innovation. The really big ideas in innovation almost always show up first in the major journals. That's why the Innovation Research Archive is so useful. 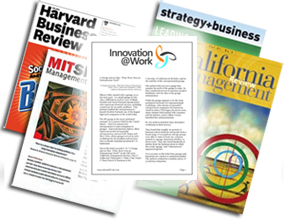 It feature research drawn from the most prestigious business journals, including Harvard Business Review, MIT Sloan Management Review, Strategy + Business, and many others. 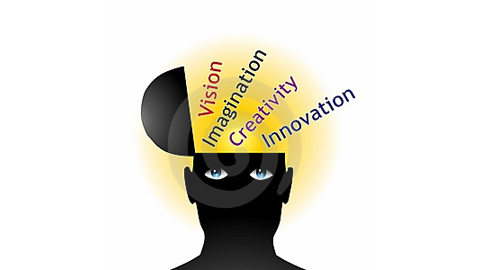 “Innovation is not just about generating ideas. And the best opportunities often lie beyond mere products and services. 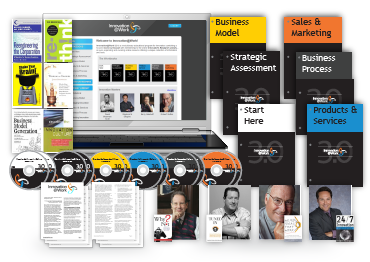 That's why the Innovation@Work 3.0 Core Curriculum consists of six state-of-the-art multi-media educational tracks, all on CDs, Workbooks, and online in the Members Area. “Innovation can come to the foreground anywhere at any time. 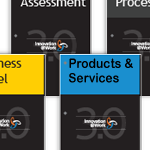 For that reason, the entire Innovation@Work 3.0 program is available 24/7 in the on-line Members Area. So whether you need a worksheet to complete a task or you need to review the ground-breaking ideas in an important book, those resources are always as close as your laptop. 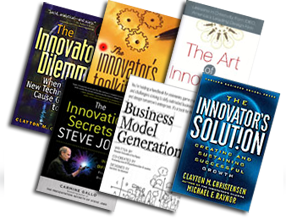 “An ever-expanding electronic library of the greatest titles ever written on the subject of innovation. 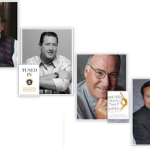 It provides instant access to the best ideas from the most respected minds in innovation. And it features super concise, forty-five minute audio versions of each best-seller for easy iPod listening. Focuses on understanding the human brain and how any individual or company can unleash the full innovative potential embedded in every human being. 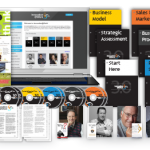 A multi-media program that demystifies innovation by teaching the personal skills and organizational attributes that the best managers use to maximize innovation ROI. 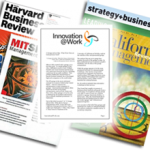 Read What They Say... "I used Innovation@Work to learn innovation concepts as VP of product development for a Fortune 150 company. The techniques helped me design and build a profitable subsidiary business more quickly."